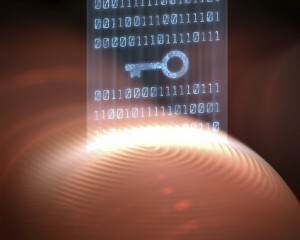 Biometric access control technology is continuing to advance at a brisk pace. Developments that were cutting edge even as recently as one year ago have already been outpaced by newer, better, and more effective biometric technology. Biometrics are quickly coming to prominence in the access control sphere, and as the technology continues to improve it won’t be long before biometrics become the standard for access control solutions. Learn more about some of the recent advancements in biometric access control technology in this week’s blog. Early biometric access control technology was plagued by bad readings. Users often found they were unable to access areas because the reader would be unable to read their fingerprints. Some readers were easily duped into accepting a fingerprint that should not have been accepted. In environments where dirt is prevalent, readers could not handle the accumulation of grime. Today, all of these problems have been rectified. Biometric readers are better than ever at granting access when the right print is presented, even in dirty environments. Readers are also more pleasing to the eye, having transitioned from bulky and unattractive boxes to designs more fitting of the 21st century. Another former obstacle to the implementation of biometric access control systems was the difficulty in setting up and integrating these systems with existing security technology, which often left users frustrated. Now, the UI has improved to the point where a biometric reader can be added with little difficulty. Better UI also means readers can provide users with more useful information. Prompts can inform the users of actions they need to take, and these prompts themselves can be scripted to individual users and times of day. Readers can determine which finger the user placed, and whether multifactor control was used. Administrators can now easily see what’s happening at a biometric device and the nature of the interactions between the device and the user. Biometric capabilities have been added to the SIA Open Supervised Device Protocol (OSDP) standard. This means biometric systems can easily be integrated with other security components that implement this standard. Compatibility is of major importance for end users, and this addition of biometrics to the OSDP standard means users can be confident of the ability of their devices to play well together. This entry was posted on Thursday, February 5th, 2015 at 3:11 pm. Both comments and pings are currently closed.